As with any other sort if investing, success in precious metals investing requires constant attention to price movement and trends. During the current world economic crisis, it’s especially important to monitor the price of metals, as these prices respond to events and external economic conditions. Especially with gold, precious metals investing is more than a simple matter of supply and demand. The debt crisis throughout Europe and the world should cause the price of gold to go up. These are usually times when banks prefer to invest in gold, which throughout history has been the most stable of investments. Currencies can collapse, but gold is always in demand. This would seem to be good timing for precious metals investing, as banks all over the world compete to buy existing supplies of gold and drive the price up. But a funny thing happened on the way to economic collapse. The United States economy started showing signs of recovery. U.S Federal Reserve Chairman Ben Bernanke announced that because of the lowering deficit and relative strength of the recovery, the Fed would suspend purchase of gold. In effect, the Fed threw gold investors overboard. Just when they thought they were in for a long period of sustained price appreciation, investors watched as the price of the iconic metal plunge. Over the past 34 months, prices dropped below $1,200. They rebounded to about $1,700 per ounce earlier. 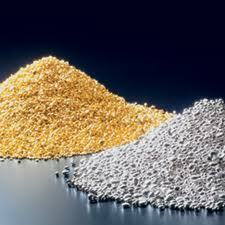 The Fed is expected to relax it policies by the end of 2013, resulting in climbing gold prices. So today’s low market appears to be a prudent time for investors to jump back into gold. A good tip for precious metals investing today is to look eastward. China will have the greatest influence on the price of metals in the coming years. Just as China is expected to become the world’s leading gold buyer in the immediate future, since gold is always popular with emerging markets as a safeguard against inflation and fluctuations in currency prices, the world’s most populous country is also expected to lead the way in silver consumption. Unlike gold which can fluctuate in price based on the perceptions and emotions of investors, and their confidence in economic growth or anticipation of collapse, silver prices are tied largely to the metal’s use in industry. Electrical components use huge amounts of silver, due to the metal’s excellent conductive properties. As living standards rise in emerging markets, of which China is exponentially the most important, electrical devices proliferate and that means, demand for silver increases. But that phenomenon hasn’t kicked in yet. The increased use of other materials in technology and electronics has had a negative impact on the price of silver. This year started with silver at around $33 per ounce, but it took a plunge to just over $17 shortly thereafter. Prices have since rebounded to the $20 range, but the outlook is optimistic. As China continues to grow, analysts view the $40 per ounce mark as a realistic expectation for silver. As always, precious metals investing requires an in-depth knowledge of conditions in countries such as China and silver investing is no exception. In something of a boon for the world of precious metals investing, the two other major metals are both moving in a positive direction, price-wise. Strikes in the mines of South Africa where most of the world’s platinum originates have cut the global supply of the metal. While industrial demand, the greatest consumer of platinum, is also down, the use of platinum in the luxury jewelry market has risen. Platinum is now in the $1,500 range while Palladium reached a peak of $774 this year, making 2013 prime time for precious metals investing.